The biggest cruise industry stories and trends for 2018 will revolve around new ships, bigger drydocking projects, increased connectivity, changes in Alaska, China and Europe, and the emergence of a new generation of expedition vessels. The Norwegian Bliss, Carnival Horizon, Symphony of the Seas and MSC Seaview will steal headlines in a record-breaking year for new ships. In addition are luxury and expedition newbuilds, and the world’s largest sailing ship in the Flying Clipper. The class of 2018 will offer the most innovative features at sea, not only the latest in onboard attractions and food and beverage, but advanced staterooms and smart ship technology, driving innovation in years to come. View a full list of new ships on order here. The drydocking world is at record levels, with cruise lines going all out adding new features and rolling back features from new ships to existing ships. Those with more modern vessels want to keep their assets at the top of their game, while those with older ships are planning bigger refit projects than ever to stay competitive. 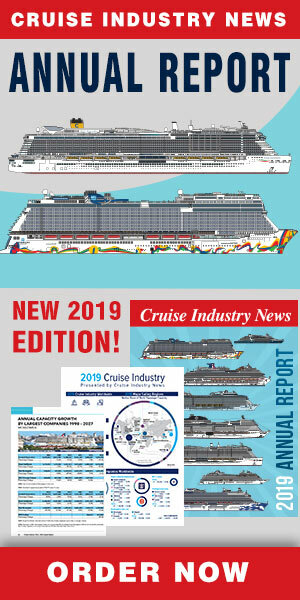 Read more in the 2018 Cruise Industry News Drydocking and Refurbishment Report. There’s also an arms race when it comes to internet and so-called smart ship technology, from MSC’s leading MSC for Me App to Carnival Corporation’s much anticipated Ocean Medallion system. The latest apps let guests find their way around ships, track their children, book shore excursions and specialty dining and much more. 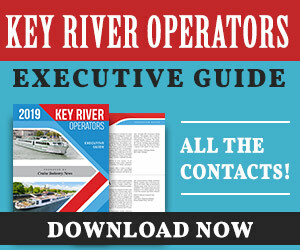 On the connectivity side, all the major brands are investing heavily with an assortment of satellite providers to offer the best internet at sea, all aiming for an improving experience similar to being on shore. Alaska and the Caribbean are both poised for record years, according to the 2018-2019 Cruise Industry News Annual Report. How the industry handles the added capacity and how the ports handle an influx of additional visitors will be key in deciding future growth. With industry capacity trending down in China in 2018, all eyes will be on ticket pricing. A solid pricing environment could lead to additional growth in 2019 and beyond as the major companies have downplayed their Chinese ambitions due to recent pricing challenges. More on China in our 2018 China Market Report. A handful of ships are being added back to the capacity picture in the Eastern Mediterranean this summer. While the publicly-traded have made increasingly bullish comments on forward bookings and ticket pricing in 2018, some of that discussion can now also turn to 2019. A healthy industry combined with a strong European cruise market could be a major boost to Q3 earnings. 2018 will see the first of 23 expedition ships on order join the fleet, with the kick off led by a pair of ultra luxury French expedition vessels from Ponant, the 180-passenger Le Lapérouse followed by Le Champlain. More expedition ships follow from Hurtigruten and a pair of industry newcomers: Scenic and Mystic.